섬세한 표현력과 따뜻한 음색을 바탕으로 안정감 있는 연주를 선사하는 바이올리니스트 김현경은 경기예고 재학 중 도미하여 Columbus State University 음대 학사(B.M. ), Pennsylvania State University 음대 석사(M.M. ), University of Illinois at Urbana-Champaign 음대 Violin Performance and Literature 박사(D.M.A. )를 모두 전액 장학생으로 졸업하였다. 또한 우수한 성적으로 매 년 학장 리스트에 올라 미국의 명예 학생 단체인 National Society of Collegiate Scholars(NSCS, 2010-2013)의 The Honor Society of PHI KAPPA PHI에 2013년 임명되었고, 2015년에 Pi Kappa Lambda National Music Honor Society에 임명되며 그 실력을 인정받았다. 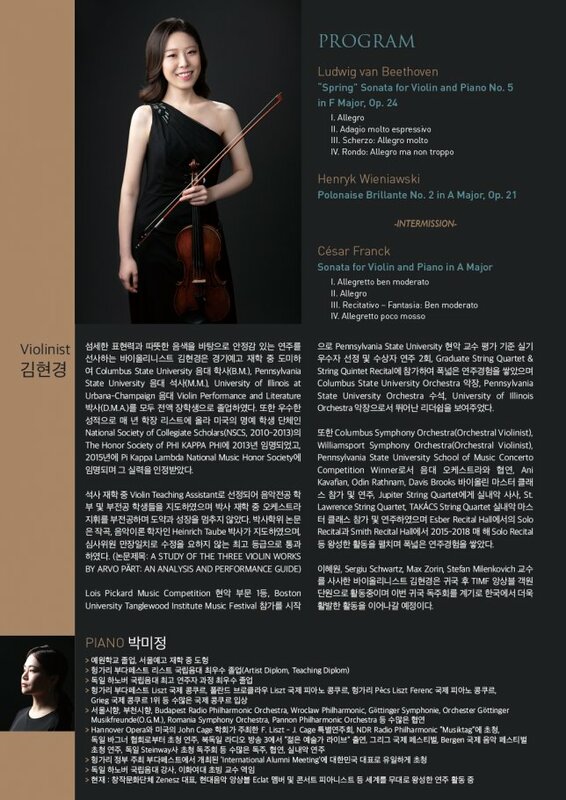 Lois Pickard Music Competition 현악 부문 1등, Boston University Tanglewood Institute Music Festival 참가를 시작으로 Pennsylvania State University 현악 교수 평가 기준 실기 우수자 선정 및 수상자 연주 2회, Graduate String Quartet & String Quintet Recital에 참가하여 폭넓은 연주경험을 쌓았으며 Columbus State University Orchestra 악장, Pennsylvania State University Orchestra 수석, University of Illinois Orchestra 악장으로서 뛰어난 리더쉽을 보여주었다. 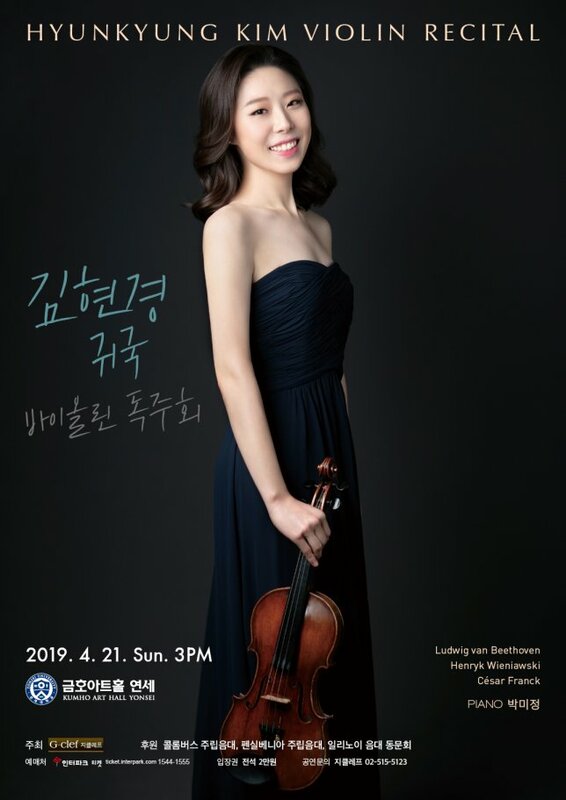 연주, Jupiter String Quartet에게 실내악 사사, St. Lawrence String Quartet, TAKÁCS String Quartet 실내악 마스터 클래스 참가 및 연주하였으며 Esber Recital Hall에서의 Solo Recital과 Smith Recital Hall에서 2015-2018 매 해 Solo Recital 등 왕성한 활동을 펼치며 폭넓은 연주경험을 쌓았다. 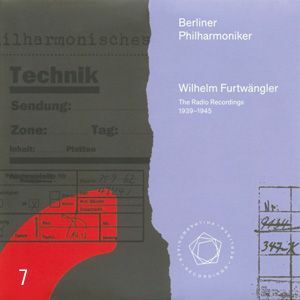 이혜원, Sergiu Schwartz, Max Zorin, Stefan Milenkovich 교수를 사사한 바이올리니스트 김현경은 귀국 후 TIMF 앙상블 객원단원으로 활동중이며 이번 귀국 독주회를 계기로 한국에서 더욱 활발한 활동을 이어나갈 예정이다.